What Fabrics Are Best for Outdoor Curtains? Bright, billowy outdoor curtains can give your patio living space the feel of an exotic resort. Enclose a pergola, create a cozy nook on your porch, or partition a section of your patio where you can retreat with a cool drink and a good book on a summer afternoon. Outdoor drapery can help you create shade, privacy and a luxurious atmosphere wherever you hang them. Better yet, outdoor curtains also could not be simpler to DIY -- which makes them an epic first outdoor fabric project with so much reward for so little effort! 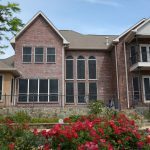 Thinking of creating your own set of outdoor curtain panels? Your first step is to track down your materials. While almost any fabric can be used to make curtains, not all fabrics are suitable for outdoor use. And all outdoor fabrics aren’t suited for creating attractive curtains that offer a flowing cascade effect. For instance, the strong, stable material that’s perfect for sling chairs is too stiff to move and flow the way a good curtain should. Repurposed canvas drop cloths from home improvement stores had a major moment on DIY blogs recently. However, as a material for outdoor curtains, canvas offers limited design choices. It can also be quite heavy and is prone to problems with mold and mildew. You can purchase waterproofing sprays to try to combat the problem; however, application can be a messy, uncertain, and potentially toxic extra step. 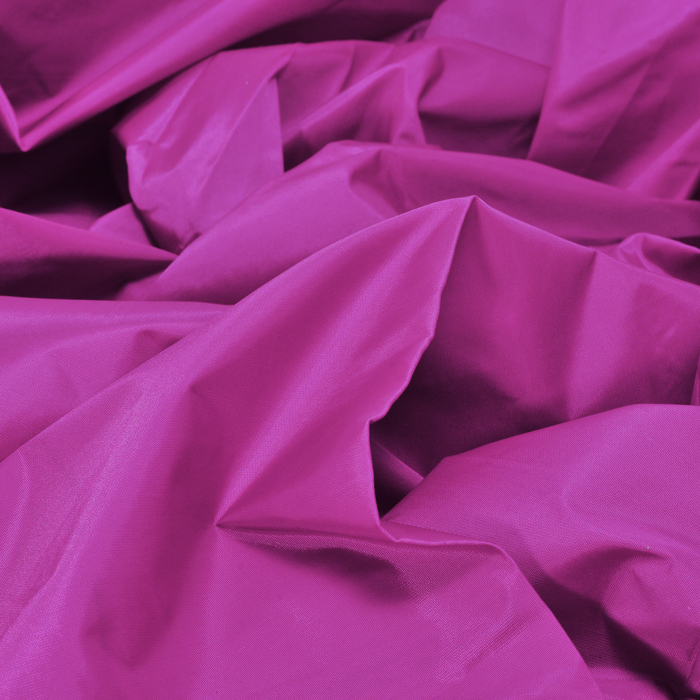 One of the most common curtain materials available, polyester blends can offer lovely drape and a wide range of prints, but they can be prone to fading and discoloration. 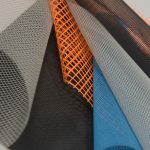 Solution-dyed acrylic fabrics offer a more colorfast solution for outdoor curtains, but have a tendency to build up static charge more quickly than other fabrics. Fabrics woven from solution-dyed olefin yarns make an excellent fabric for outdoor curtain projects. 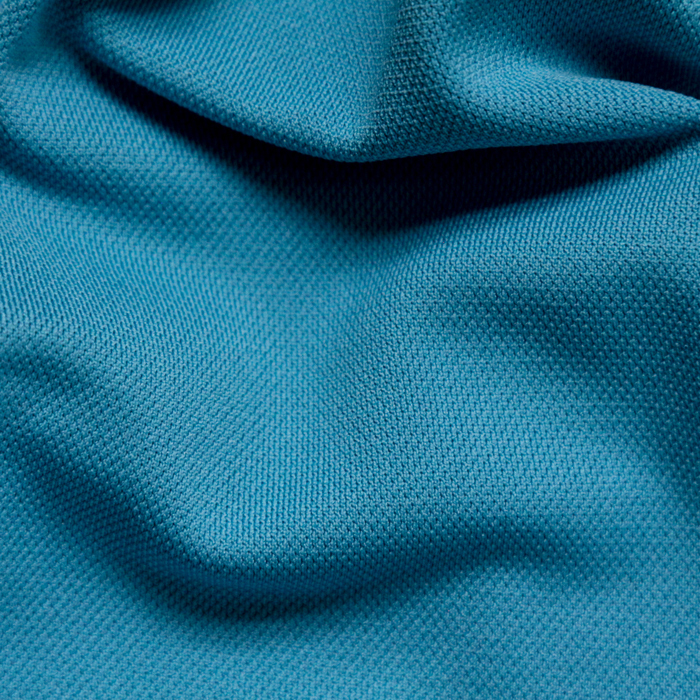 Olefin fabric such as Phifer’s GeoBella® line is lightweight, soft, extremely durable, and doesn’t fade in the sunshine. It’s also available in a much wider variety of intricate weaves and designs, giving you a lot of room to get creative! 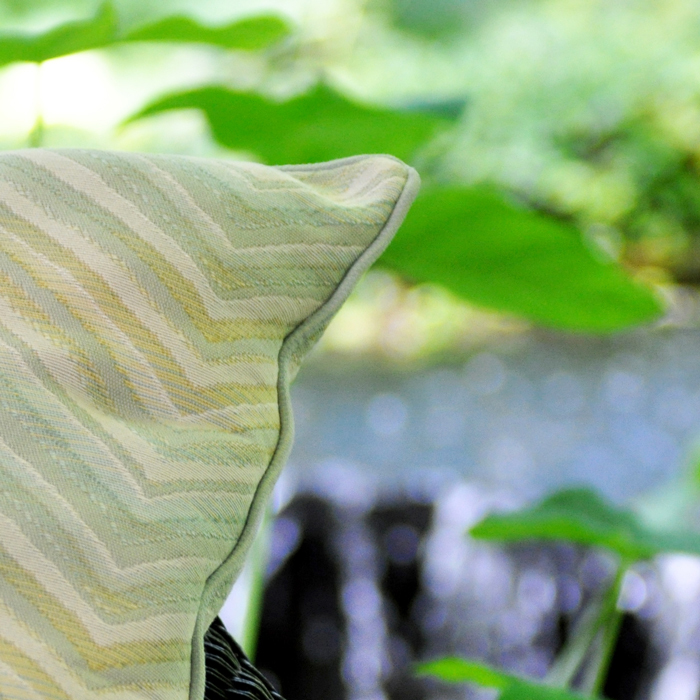 Before you buy outdoor fabric for curtains, make sure it’s up to the task at hand! Ask a few important questions. Can this material stand up to the elements and the wear and tear of outdoor living? Is it available in the colors and patterns you love best? Is it relatively lightweight with sufficient flow and drape to hang beautifully? 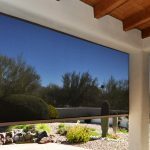 Having a list of features to ask about while shopping will help you discover the right fabric for your DIY outdoor curtains. GeoBella​ fabrics have been designed with a vast range of special features that can be considered a benchmark for outdoor curtain material. Your outdoor curtains should be able to dry quickly, even after a passing shower. Fabrics that absorb a lot of water -- like cotton or canvas-- may become too heavy after a rainstorm and are at a higher risk of developing mold and mildew problems. 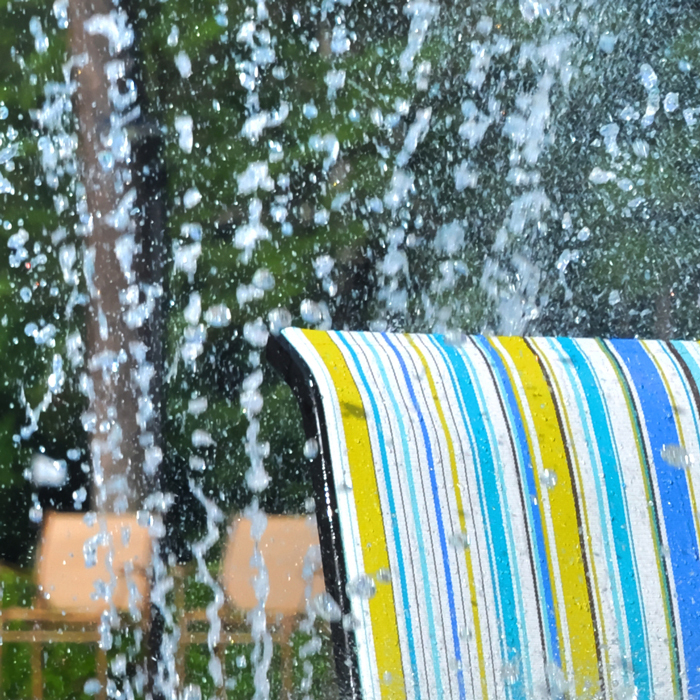 Phifer’s GeoBella​ fabric repels water on contact and doesn’t absorb moisture. Raindrops roll right off and any residual dampness will rapidly air-dry. 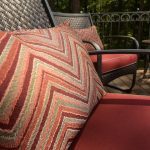 Direct sunlight can do a number on outdoor fabric. 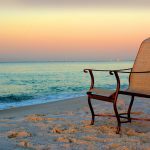 Harsh UV exposure on untreated fabrics can cause them to “bleach out” and fade, causing dullness and uneven coloration in a surprisingly short amount of time. GeoBella​ is woven from solution-dyed olefin yarn, and treated to resist fading even in climates where the sun shines year-round. 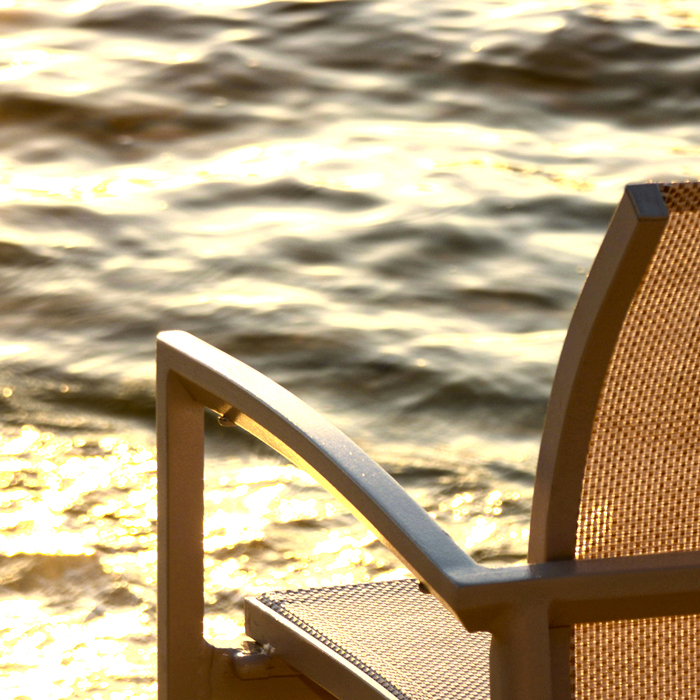 Enjoying outdoor living means looking out for the environment you love so much. The manufacturing process for olefin fabrics like GeoBella​ creates very little waste material, and the fabric used is 100% recyclable. It can be melted down and reextruded into new yarn to be rewoven up to 10 times. Products with GREENGUARD® certification have been manufactured to meet some of the world’s most stringent standards for low emissions of VOCs. It’s an important way to protect air quality, particularly indoors or anywhere you plan to enclose a space, i.e., with curtains. 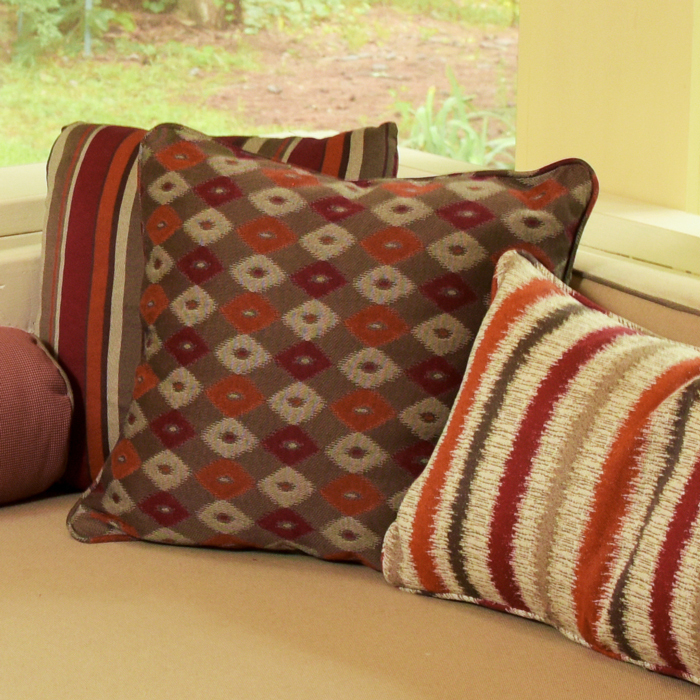 Making your own outdoor curtains is a quick and easy DIY project that anyone can tackle. Don’t believe us? Check out Phifer’s detailed how-to guide. We’ll walk you through all the steps so that you can create the curtains of your dreams with confidence! ​When you choose GeoBella​ for your outdoor curtain project, you know you’re getting spectacular quality and unparalleled design. This earth-friendly fabric is beautiful enough to stand toe-to-toe with luxury indoor fabrics while still possessing all the virtue of a hard-wearing, high performance material. Discover our magnificent range of designer weaves and patterns --from saturated solids to intricate florals, classic stripes, and on-trend geometrics. 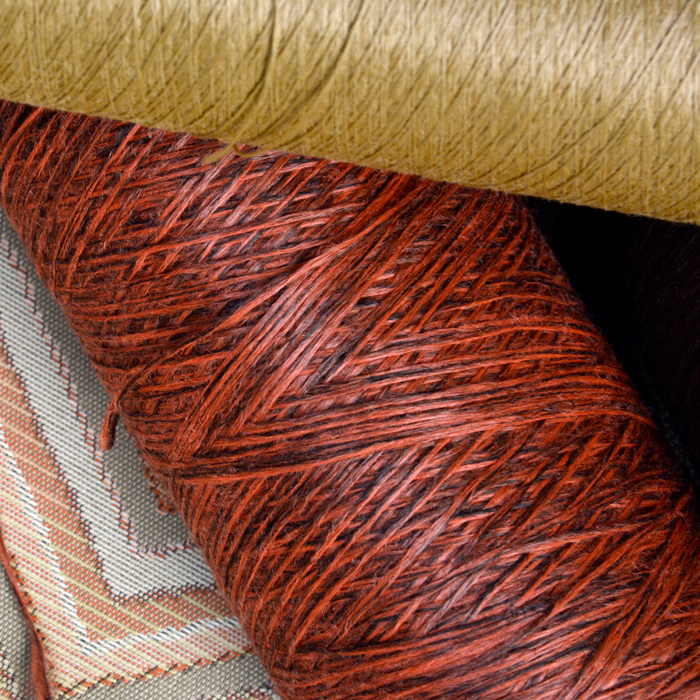 Whatever your design aesthetic, there’s a GeoBella​ fabric just waiting to transform your space. Is an outdoor curtain project calling you? Use the Phifer Outdoor Fabric Visualizer to see how your favorite GeoBella designs might look in your space. With the help of our sample images, you can play with different colors and textures, mixing and matching to your heart’s delight. You might even be inspired enough to whip up a few coordinating (or contrasting) cushions and throw pillows, too! 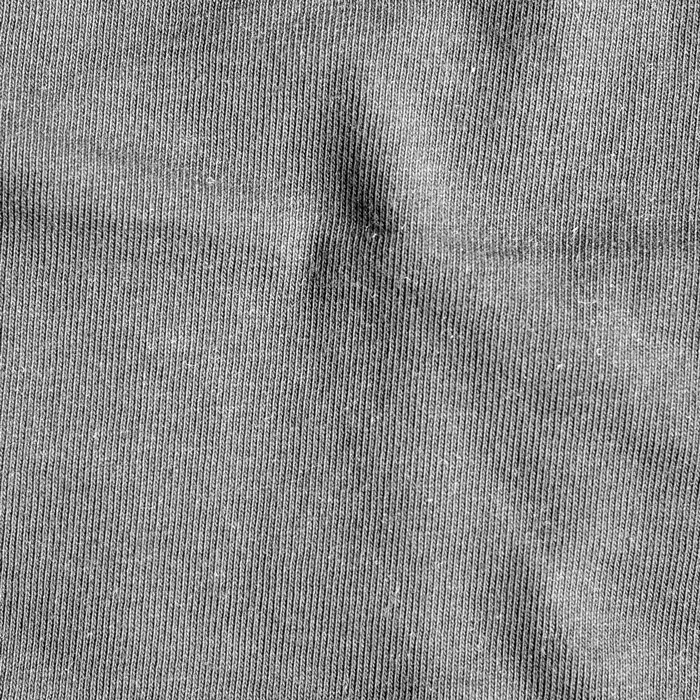 If you’d like to learn more about Phifer’s GeoBella​ fabric or need some advice, please don’t hesitate to get in touch! You can give us a call, shoot us an email, or jump into a live chat with one of our friendly and knowledgeable fabric experts. We’ve got the answers to all your questions and can give you a head start on your DIY curtains by connecting you to online and local retailers who carry the Phifer fabric you’re looking for.